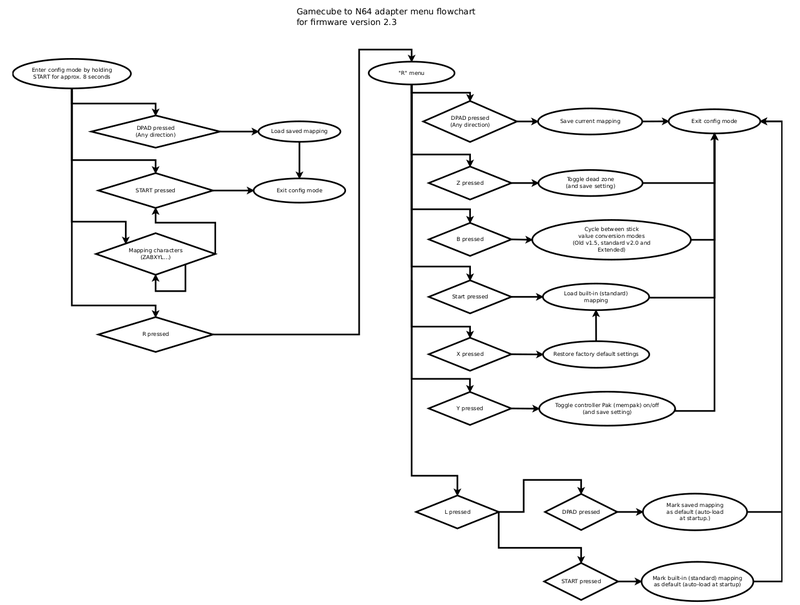 This is a guide for customizing, configuring and updating our Gamecube controller to N64 adapter. For specifications and pricing, please visit the product page. If your adapter has a plastic casing and look like this, you have version 2. If your adapter is built into a heat-shrink and looks like this, you have version 1. Version 3 (Released in November 2017) is identical to version 2 but has a built-in controller pak (memory card). Configure the buttons assignments on the left to meet your needs, then click Generate to obtain the mapping code. See next section for how to enter the code. 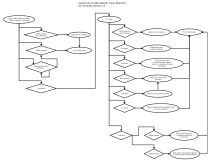 Here is a flowchart convering what is described below. Printing it for reference is recommended! 1) Place the adapter in configuration mode. With the console turned on with a game running, hold the 'start' button down for approximately 8 seconds. Release once the LED turns on, or on adapters before version 2, after hearing a quick succession of 5 beeps coming from the adapter. Once in configuration mode, simply press the buttons corresponding to the code. After each group ended by the L button, the LED will turn off briefly to confirm. 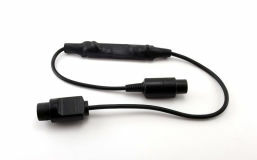 Adapters before version 2 will emit a short beep sound. At the end, after the 'start' button has been pressed, the adapter will confirm by blinking twice and returning to game mode (The LED turns off when returning in game mode). Adapters before version 2 emit 3 beeps to confirm and return to game mode. Note: If an invalid sequence is entered, the adapter will signal an error (see below) and exit to game mode. First press R. Then, press one of the D-pad directions. Each direction can hold a mapping of your choice. After a few seconds, the adapter will blink twice and return to game mode. 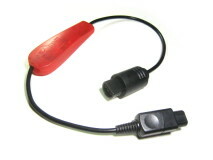 Adapters before version 2 will confirm the save by emitting 3 short beeps. Upon entering configuration mode, press the D-pad direction associated with the mapping you wish to load. The adapter will load and enable the mapping and confirm by blinking twice before returning to game mode. (Adapters before version 2 will emit 3 consecutive beeps to confirm). Note: If no mapping is stored in the selected D-pad direction, the adapter will signal an error (see below) and exit to game mode. Upon entering configuration mode, firs press R, then press START. In configuration mode, first press R, then press L. Then press the D-pad direction corresponding to the mapping you want to be active at power up. In configuration mode, first press R, then press L. Then press START. 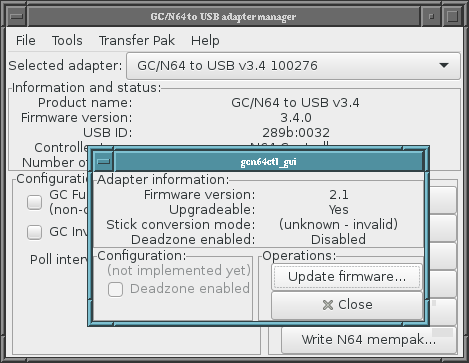 Note: The default mapping feature is available since firmware version 1.5. The adapter can generate a deadzone (feature diabled by default). This is required for some gamecube controllers that do not always recenter exactly at 0,0 and depending on the game, this can cause issues. To toggle this feature on and off, enter configuration mode and press R followed by Z. Wait a few moments and the adapter will confirm the change by blinking twice and returning to game mode. (Adapters before version 2 will confirm with 3 consecutive beeps). Old v1.5 style (less sensistive diagonals). To swich to the next mode, enter configuration mode and press R, followed by B. Wait a few moments and the adapter will confirm the change by blinking twice and returning to game mode. For more information on those modes, have a look at this stick translation documentation. To erase all stored mappings and restore all settings to their defaut (eg: Dead-zone), enter configuration mode, then press R, followed by X. Wait a few moments and the adapter will confirm the change by blinking twice and returning to game mode. 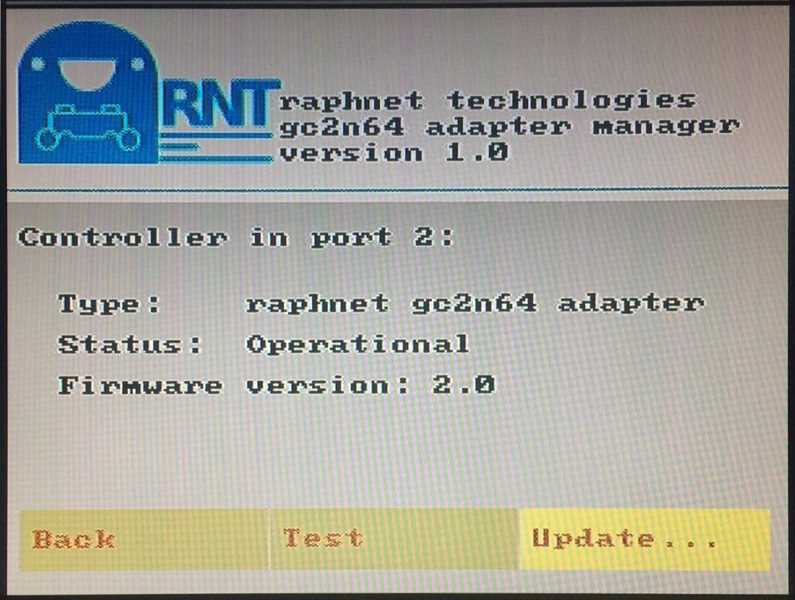 Adapter version 2 has a firmware update feature. Ultimately there will be two ways to update the firmware, as described below. 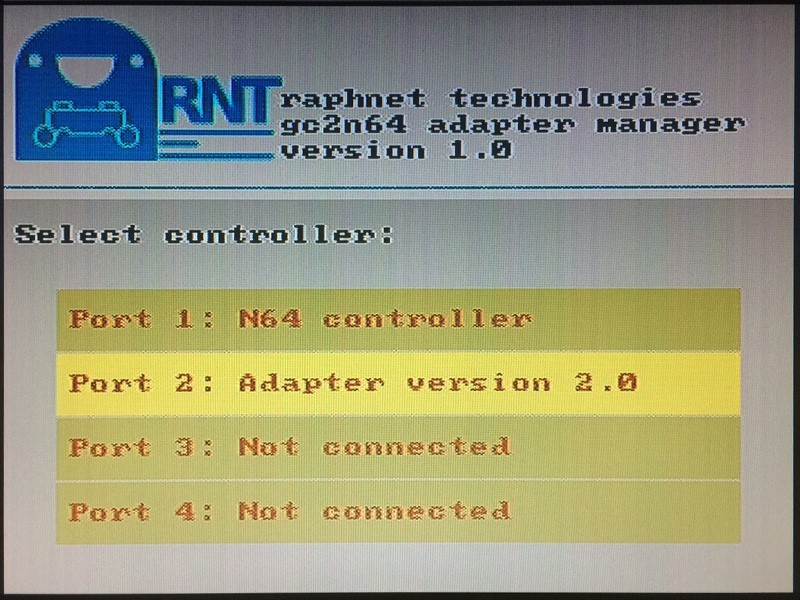 If you have a reprogrammable N64 cartridge, you can load our N64 adapter manager ROM on it to test controllers and update your adapter. 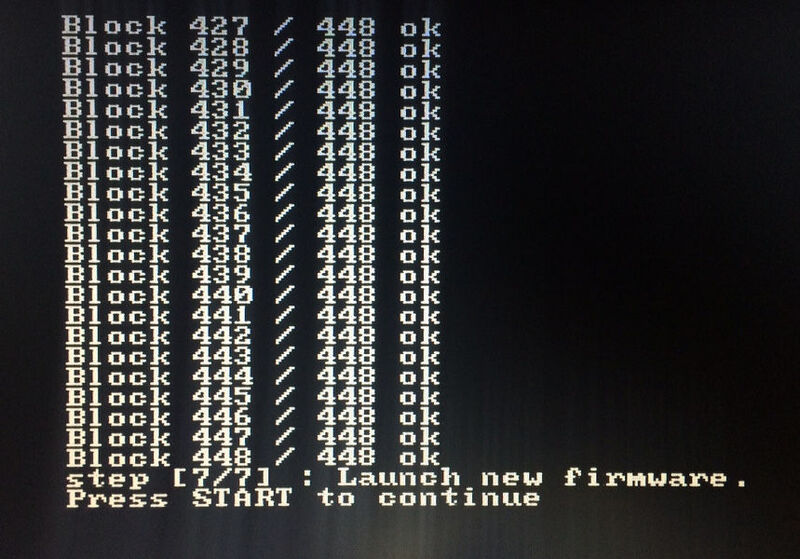 The ROM is updated after each firmware release and features a firmware selection menu allowing you to upgrade/downgrade at will. 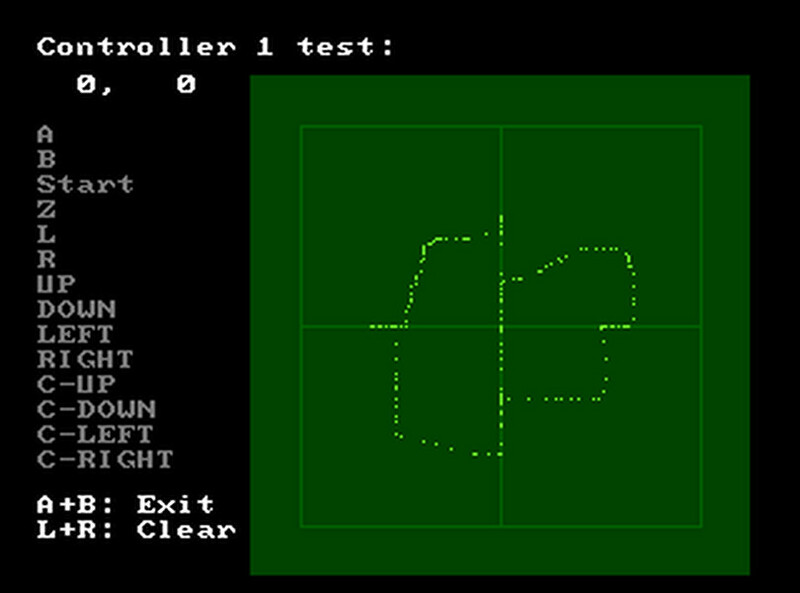 A simple controller test is also included. 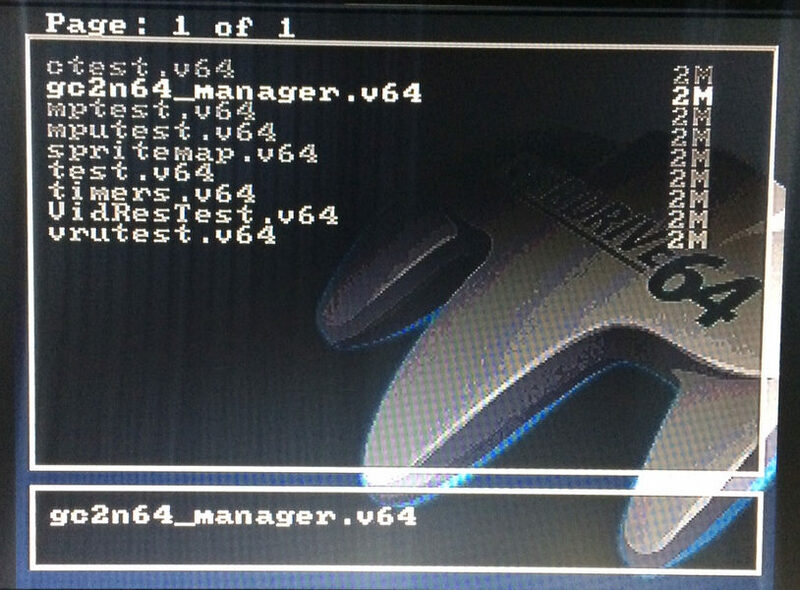 See the N64 adapter manager page for downloads and additional information. 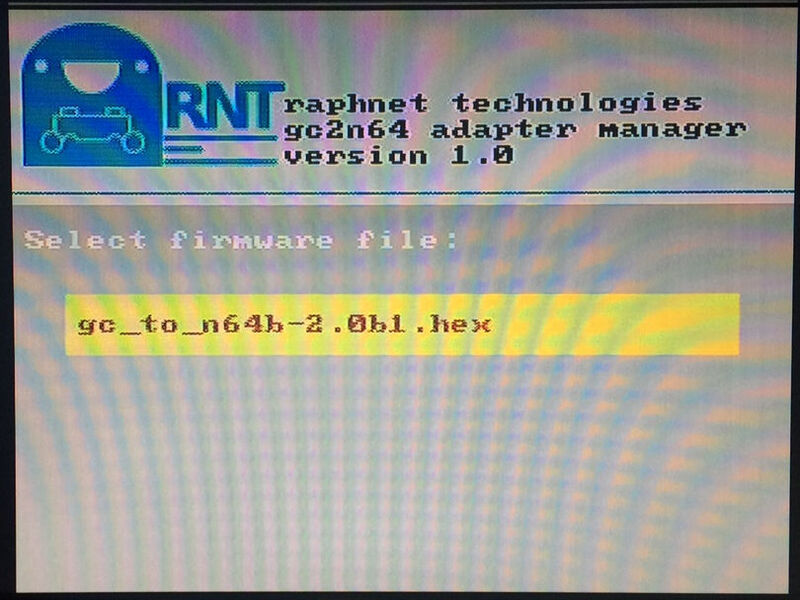 Firmware updates can also be performed through a raphnet 3rd generation Gamecube/N64 controller to USB adapter. Use the Manage GC to N64 adapter option from the Tools menu in the Adapter management tool. Gamecube, Wii and Nintendo 64 are registered trademarks of Nintendo. All other trademarks are the propriety of their respective owner(s). We are in no way affiliated with Nintendo.